Yes…that’s my photographer’s shadow. Not a perfect fashion moment, but hey, that’s life. 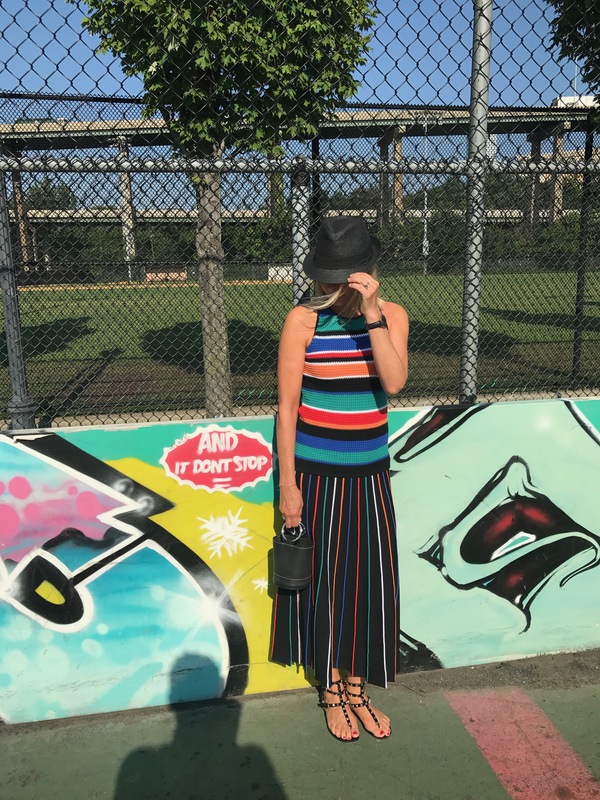 This bright-striped duo has been hanging in my closet since June, and I couldn’t put its blog debut off any longer. Especially since stripes and Summer are made for each other. The cutaway crochet tank and pleated knit skirt are my first Worth New York purchases. It was really fun to work with Lisa, my friend and Worth Stylist, in their airy, elegant New York City showroom. I tried on quite a few things, but in the end loved how these two separates paired up. I think I even surprised Lisa with the look.